Root explains how Obama and his conspirators are like the Gambino Crime Family – using intimidation, corruption and lies to kill jobs and strangle small businesses. He discusses the big deficits Obama has created and how large the wealth gap is now. 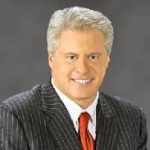 Wayne Allyn Root is not only the best Sports Handicapper in the business but also an American politician, entrepreneur, television and radio personality, author and political commentator. He is a best-selling author of 7 books, a regular guest on FOX News, and a television celebrity who has served as Creator, Executive Producer and Host of shows such as “King of Vegas” on Spike TV and “Wayne Allyn Root’s WinningEDGE” on Fox Sports and Superstation WGN. His sports-betting expertise has dubbed him the tiles “King of Vegas” and “The Face of Las Vegas Gambling” and he has the winning records to support these coveted gambling titles. Root is Founder and Chairman of Winning Edge International Inc. In the 2000s, he hosted Wayne Allyn Root’s Winning Edge, a television show which promoted Root’s sports handicapping operation. Root was the creator, executive producer and co-host (along with HBO’s Max Kellerman) of King of Vegas on Spike TV. Find out more about Wayne Allyn Root at www.rootforamerica.com</span rel=”nofollow”>. Read more about Winning Edge at www.winningedge.com</span rel=”nofollow”>.